When considering the sacred in Greece, an outsider might jump to conclusions about Zeus, Apollo or Aphrodite, but truth be told, coffee is our real deity. We here in Athens actively seek out establishments that take coffee as seriously as we do. And creating the perfect cup requires the finest blend of beans roasted to perfection, then properly brewed with just enough meraki (translation: “to put in love, creativity or soul”). But more important than technique, beans and styles, is sharing your strongly brewed cuppa with loved ones. Sitting down for coffee in a cafeteria with a hot date or with your Yiayia and Pappou dominates Athenian social life, from morning ‘till night. Invented entirely in Greece, the frappe was the result of an experiment in Thessaloniki in 1957 when a barista spontaneously decided to mix instant coffee with cold water and ice in a blender, changing forever the way that the Greeks drink their coffee—especially in the summer. This act of blending creates a fat layer of foam on top and is usually enjoyed slowly in a tall glass through a straw, which also acts as a stirring stick. Ice is necessary—sugar and milk are optional. The frappe was a favorite for decades until the espresso invaded Greece. During the 2000s, espresso and cappuccino gradually became a staple in every coffee spot. However, the frappe influence brought yet another original coffee idea to Greece: the Freddo. The Freddo combines blended fresh espresso coffee with ice, which creates a thin foam layer. For those who prefer milk in their iced coffee, a freddo cappuccino is the same thing, but with an added layer of cold, creamy milk foam on top. Today, this is the most popular kind of coffee served in every cafe in Greece. Recently, a new coffee revolution has been brewing: the “third wave.” This NextGen coffee experience has transformed the cafeteria from low-key hangout to trendy hotspot. 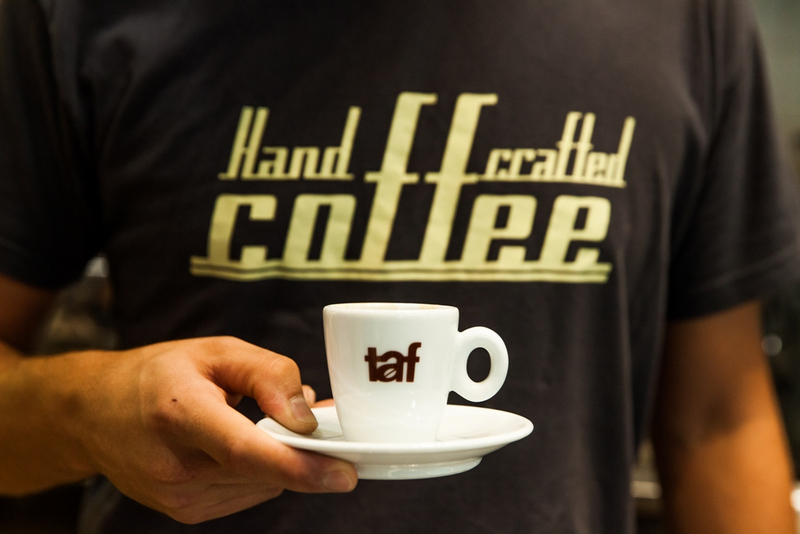 Examples of this contemporary take on an old phenomenon are Tailor Made and Taf Coffee both of which not only serve coffee, but import coffee beans from the furthest corners of the world and roast them in production facilities either in house or just outside of town. The two shops create their own unique blends, expertly selecting and combining the aromas of coffee from small farms before roasting to perfection achieving the ultimate brew. The baristas at these two shops have also won worldwide competitions such as the World Brewers Cup and the World Barista Championship. So now that you’ll be able to interpret the menu, here are my picks for unbeatable coffee in Athens, from old-school cafeterias to trendy hangouts. 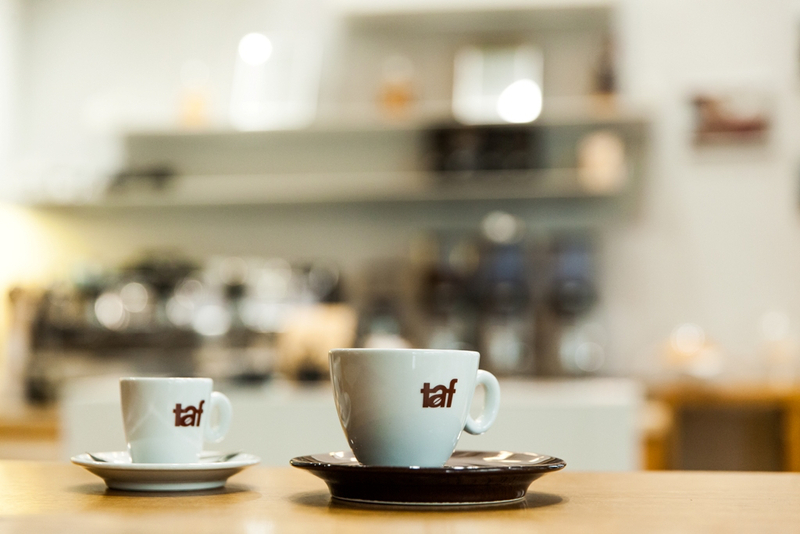 With a roastery in the suburbs and award-winning baristas, the Taf Coffee shop is an essential stop for coffee lovers. Its endless choices of single-estate coffees and competition blends from around the world will surely amaze anyone looking to caffeinate. Pro tip: Taf’s muffins are an excellent pairing to your hot cup of coffee. 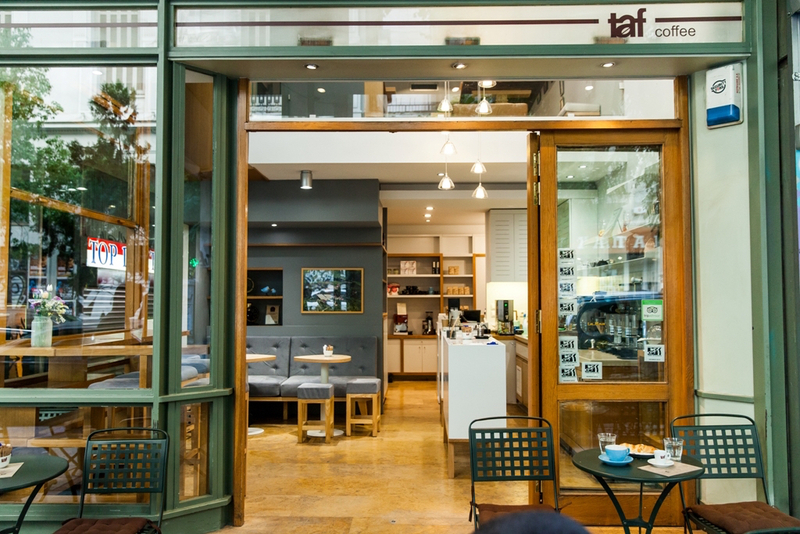 You never need to wander too far for a good cuppa coffee in Athens. This is the most famous third wave cafeteria in Athens. Located in the vibrant square of Agias Irene, Tailor Made’s excellent brews are made with different blends each day and can be enjoyed while people watching on one of the tables outside. When visiting later in the day, its cocktail bar is also known for being one of the best in the city. In fact, head bartender Giannis Natsis just won second place in 2015 World Cocktail Championship. Pro tip: Hit the ATM prior to Tailor Made because this cafeteria accepts cash only. Coffee on the go? The best option is KAYA, a miniature espresso bar dedicated to the African continent, hidden inside the Bolani Gallery. Along with its house blend, KAYA rotates between different limited edition coffees from Greek roasters. The open design aesthetic of this cafe means that visitors can get up close and personal with the brewing equipment and fantasize about participating in the sacred act of coffee preparation. Pro tip: KAYA has the best bang for your buck in Athens—its double espresso comes at only 80 Euro cents. Coffee Island is one of the most well known and ubiquitous coffee chains currently in Greece. 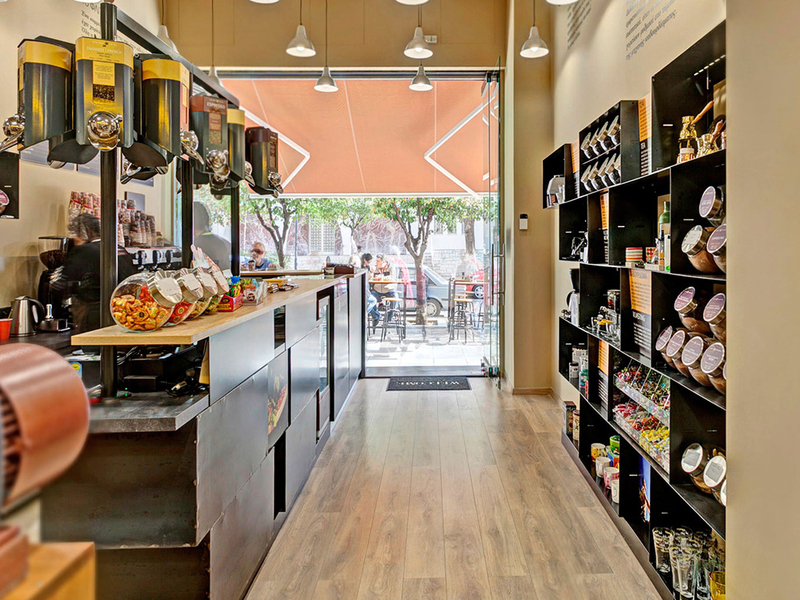 Not only does the chain have some of the best coffee around, it also offers an extensive collection of teas and chocolates, both hot and cold. You can find them literally everywhere in the city center. My favorite one is at Thiseio, right across the street from the metro. 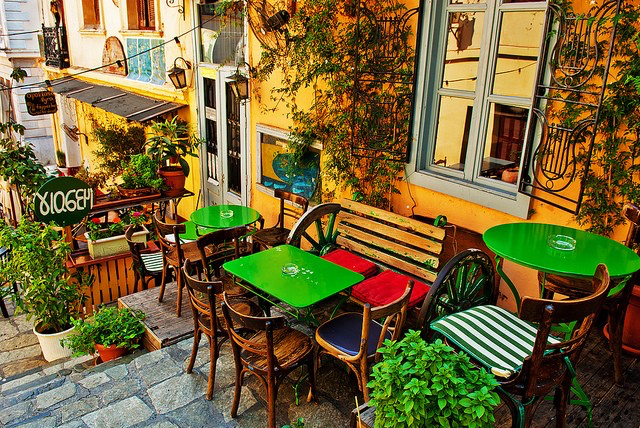 From this location you can grab your coffee to-go and head right uphill toward the Acropolis. Pro tip: Try the Freddo cappuccino—the foamed milk here is the thickest around. Although chains are usually not the move, Coffee Island has our seal of approval. Yiasemi is the outsider of this list. In my opinion, the coffee served here does not compare to the brews served at the aforementioned cafeterias, but no matter. 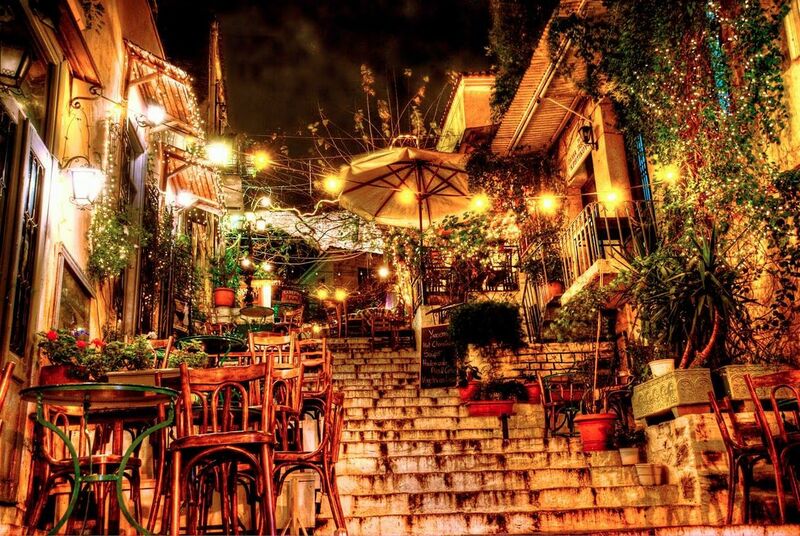 Its uniqueness lies in the nostalgic atmosphere and romantic location on the steps in Plaka near the Acropolis. Open daily, this vintage cafe also serves an assortment of delicious handmade desserts you can indulge in as well. Pro tip: Need to sober up after the club? Yiasemi keeps its doors open until 2 a.m. each morning. Thank goodness for that. Beware of the cat ... but go for the traditional coffee experience. 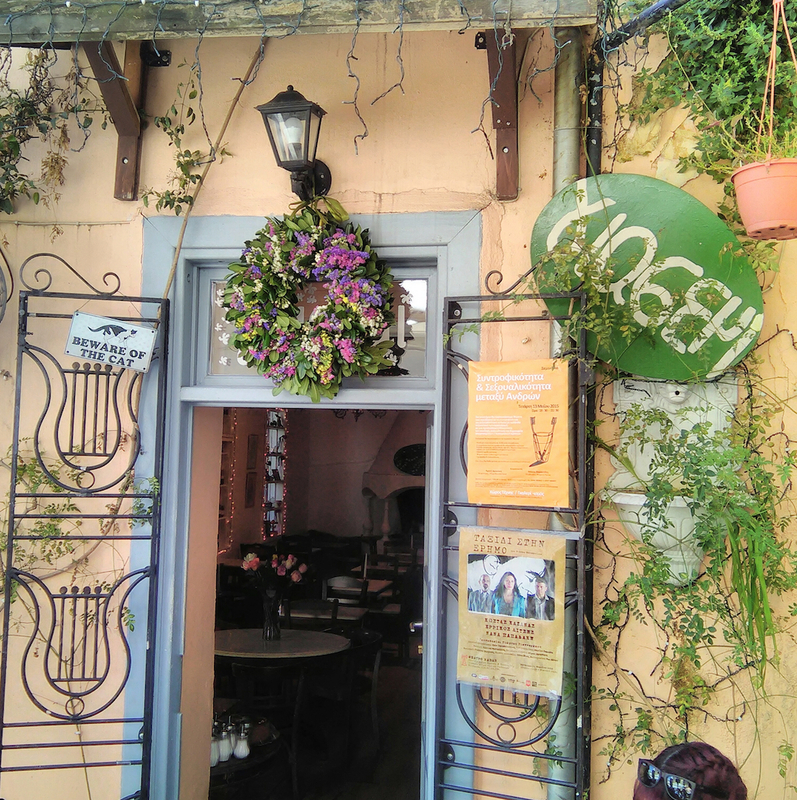 Yiasemi is the most adorable spot to try the dark, oozing Greek coffee you're after. Seriously, drinking coffee here is like drinking coffee in a postcard. Environmental engineer by day, aspiring writer by night, Zoi has always been inspired by strange stories, people and places. She lives in Athens with her husband and an extremely happy labrador. Thessaloniki is a Greek port city on the Thermaic Gulf of the Aegean Sea. Trendy hangout for coffee & loose tea aficionados offering imaginative evening cocktails & DJ sets. Expert baristas serving handcrafted brews for coffee connoisseurs in a smart, contemporary cafe. Agias Irinis is a beautiful square in central Athens. Ruins of iconic 5th-century B.C. temple complex on Athens' rocky hilltop undergoing restoration. Coffee, drinks, homemade pies & desserts in a snug traditional cafe with fireplace & outside seats. Pláka is the old historical neighbourhood of Athens, clustered around the northern and eastern slopes of the Acropolis, and incorporating labyrinthine streets and neoclassical architecture.